Dark Souls III is out next week, bringing with it a slew of new secrets, split paths, and bosses that will make you curse around your loved ones. You can read our review to find out more about why it’s one of the best in the series, but if you want a quick primer on what’s changed as well as few tips for getting by, here are a few things you should know. If you’ve been following the series thus far, you’ll know every Souls game tends to make minor touches that have a huge impact on how you play. 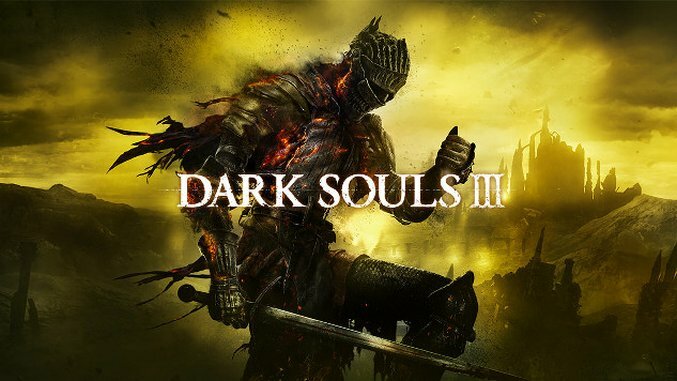 Dark Souls III takes most of its inspiration from previous games rather than moving things forward, and rolls back a few things from Dark Souls II. You can’t “clear out” areas by killing enemies enough times like you could in Dark Souls II, which might make it more difficult for newer players to proceed but allows you to kill enemies as over and over to earn Souls near the safety of a bonfire. You also don’t have lifegems, which acted as a resource you could stock up on to heal early on but became almost useless by the end. These changes make Dark Souls III feel more like Dark Souls, which should be good news to fans who thought Dark Souls II strayed from what made the series great. The story of the Dark Souls series has always been a little convoluted and very obscure. You learned more about what you were doing and the world around you through item descriptions and catching sly references from characters than cutscenes or explicit storytelling. Dark Souls III relies on your knowledge of what’s been happening this whole time more than the series ever has, so if you want to get the most out of some of the later boss fights, hit up a few video guides detailing what’s been going on under your nose. Youtuber VaatiVidya has some great videos that explain the stories of some of the series’ past, and will make some of the events in Dark Souls III a little more clear. In past Souls games, each spell had an allotted number of uses, with stronger spells having fewer uses. If you wanted to make character a mage, you’d have to put points into the Attunement stat, which gave you more slots for more spells but didn’t give your other spells more uses (you had to turn to items for that). Dark Souls adapts the mana system from Demon’s Souls, which lets you use spells as often as you like as long as you have the mana for it. Better yet, you can now turn some of your Estus Flasks into Ashen Estus Flasks, which refill your mana rather your health. This puts the series more in line with other RPGs and makes building a mage character more simple than ever. Dark Souls III introduces Weapon Skills, special abilities that give each weapon their own flavor. Some weapons let you enter a special stance that lets you deliver upwards blows, while others give you short attack boost. All of these skill cost Focus Points, and they can mean the difference between a close defeat and victory if you use them right. You’ll also want to keep track of what shield you’re using, since some shields let you parry attacks while others give you access to your Weapon Skill instead (you usually have to hold a weapon with both hands to use it). Dark Souls isn’t as sprawling or filled with as many spokes as past games, but you still do have to make some choices about where to go first. Without spoiling too much, you’ll at one point wander into a place called the Farron Keep. You’ll want to hold off on trudging through the area for a little while, though. Instead, look around the Road of Sacrifices (the area that leads to the Farron Keep) for a boss. Beat them, then proceed down the path in front of you. This will make the level curve a little smoother, as going to Farron Keep first will make the area much harder while making the other area a pushover once you get to it.